According to research studies, environmental graphic design (EGD) wallcoverings are one of the fastest-growing sectors in the print industry today, yet this should come as no surprise, if you’ve been paying attention. It’s all about the immersion experience for the end-user and their client, and EGD provides this in spades by using vinyl and fabrics to transform interiors into newfound decorative, experiential, and branding opportunities. After all, what museum wouldn’t want to incorporate historical photographs or scientific artwork onto the walls of select exhibits? What drab corporate office setting couldn’t be enlivened through the use of outdoor scenery inside? What toy store wouldn’t want to transport their customers to some relatable adventure land or space opera galaxy? Two hot markets for EGD installations in particular that you can step into are healthcare and hospitality. Doctor’s offices and hospitals now look to breathe life into previously cold, sterile experiences thanks to more environmentally friendly inks and vinyl. Hotels and nightclubs are able to make their branded locations their own must-go-to spots on the map. This month, we asked manufacturing experts to provide their advice about these fields. SBi spoke with the following individuals from 3M Commercial Solutions: Marketing Manager Tim Boxeth, Marketing Manager-Intermediate Films Jonathan Gerlach, and Healthcare & Education Marketing Specialist Ben Oberle. 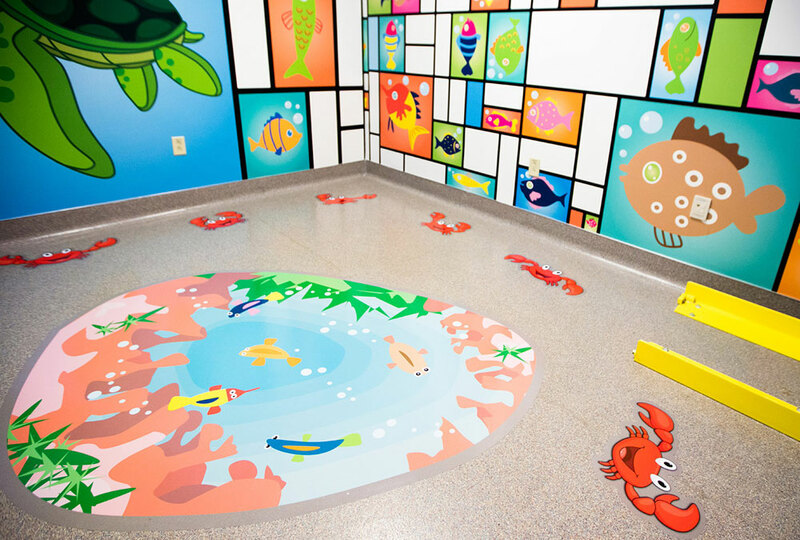 Why is the healthcare industry a popular choice for environmental graphics? Gerlach: They help promote a better patient (and even family and friends) and employee experience. The move from a sterile institutional feeling to a more warm, personalized environment can help create an experience that’s conducive to a patient’s health, well-being, and potential recovery. 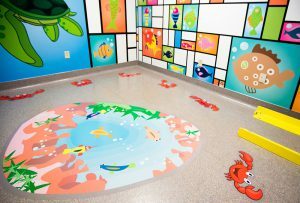 How are environmental graphics being used in healthcare facilities? Boxeth: Hospital and long-term care facility refreshes will continue to grow as a focus on the patient experience increases. Calm patient room décor, infographics for navigation, hospitality-like feel in common areas, and environmentally friendly solutions are examples of how graphics and signage can play a role in healthcare. Additionally retail health is growing for Millennials. In-store primary care and convenience versus brand are trends leading to the need to create a comfortable environment while promoting brands. Walgreens, CVS, and Walmart Care Clinic are examples of more healthcare moving into retail, which offers more opportunity for graphics. What types of inks and films are best suited for interior EGD healthcare environments? Gerlach: Many healthcare environments actively specify non-vinyl solutions, such as 3M™ Envision™ Brand films and overlaminates for interior graphics that are great for walls and other applications. Non-vinyl solutions are sometimes requested for those who may have sensitivities to PVC films or are simply seeking a greener solution. GREENGUARD Gold Certified films offer the opportunity for a graphic that can qualify for LEED credits. GREENGUARD Gold Certification requires that products meet some of the world’s most rigorous, third-party testing standards for low emissions of volatile organic compounds (VOCs) into indoor environments. The Gold Certification includes additional factors to account for sensitive individuals (such as children and the elderly) and helps ensure that a product is acceptable for use in environments like schools and healthcare facilities. 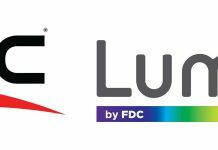 UL Environment, a unit of Underwriters Laboratories, administers the certification. How can sign shops and print providers get involved with healthcare facilities for EGD projects? Oberle: There is an extraordinary amount of merger and acquisition activity in healthcare right now. That usually means more graphic opportunities too. Shop owners and print providers can be proactive in securing those jobs by reaching out to the marketing departments at healthcare facilities and focusing their pitches around the patient. Hospitals put the patient at the center of their delivery strategy. If shops focus on the patient and how to better communicate the hospital’s brand strategy to the patient, that will go a long way. 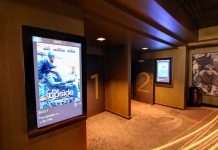 SBi spoke with Brian McElwaine, marketing manager at Dreamscape®, a manufacturer of textured digital wallcoverings. 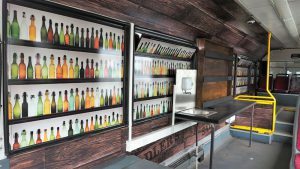 Why is the hospitality industry a popular choice for vinyl and/or fabric environmental graphics? McElwaine: This market requires a durable and attractive substrate that can hold up in high-traffic areas while making a statement of quality/reliability and attractiveness in design. 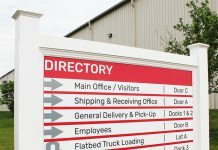 When compared with less-durable options, commercial-grade vinyls often offer superior flame and smoke classifications, stronger tear and tensile characteristics, higher scuff resistance, and generally provide an economic advantage to the owner because of its long life cycle. Can you give examples of how EGD is being used in hospitality facilities? 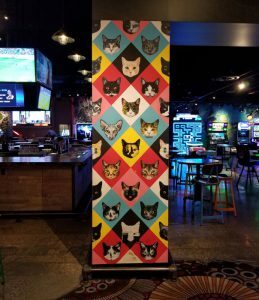 McElwaine: Hotels and restaurants use environmental graphics and wraps to help illustrate current promotions that change frequently, yet they are installed in high-traffic areas so the substrate must hold up to a lot of physical contact, while also maintaining an attractive, eye-catching appearance to coincide with brand identity. Permanently repositionable wraps are ideal solutions for these applications. What types of designs are ideal as EGD here? McElwaine: It’s totally dependent on the brand, the type of hospitality business (restaurant, hotel/motel, spa, etc. ), and the message they’re trying to convey. For example, a spa may like to use some type of biophilic (nature) graphic; scenes of nature have been proven to provide a sense of relaxation and well being. What should designers focus on when surveying a hospitality facility or restaurant to come up with appropriate EGD designs and colors? McElwaine: Pay attention to the brand image (colors, fonts, vibrancy, hues, etc. ), level of professionalism versus casual nature of the brand, the target customer base, the message itself, and the images that help communicate it to a relevant audience. It’s critical for a print service provider to offer design services, as they will often be asked to work on new concepts or modify existing artwork. What inks and materials are best suited for hospitality environments? McElwaine: Most hospitality installations will require a TYPE II commercial grade wallcovering, especially in high-traffic areas like corridors and guest rooms. Historically UV-curable inks have had an edge on durability, but recent advancements have been made in Latex and UV Gel. But the type of ink shouldn’t matter in the end as long as the durability of the surface is properly suited for its environment. We always recommend a good coating or topcoat to add that extra level of assurance. Products like DreamGuard Protex 3 or Marabu Wall Armor work well with commercial wallcoverings. Photos (top to bottom): ASI, Saddlers, Dave Forrest.